Home MusicIn My Words	Ready To Roll And Happy Belated Jody Watley! And the mini-vacay is now over. I had a phenomenal time away, but as always – I can SO do for some more sleep! It’s always amazing what friends and R&R time do for the soul. 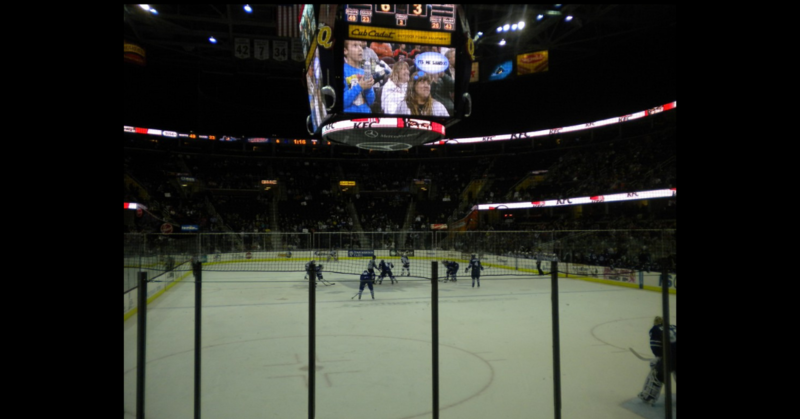 I attended my first hockey game (Okay, I know I’m Canadian but that’s beside the point…) from amazing seats; that was an interesting experience. One of my best friends from kindergarten (yup, 30 something years later, now THAT’S friendship) is the announcer for an NBA team, so he gave me the tour of the team’s head office and preferential treatment. It was great! Got some bonding time in and it did me good. There was no music involved. At all. No music, no Twitter, no Facebook. And you all know that music is indeed at the core of my soul, but a break from anything too good is definitely needed sometimes. That is something I plan to do again very soon. So on that note, I, of course, returned early Tuesday morning and couldn’t get it together all day. That will change and the gears will shift into ‘grind’ mode today. There are a lot of concerts to fit into the calendar to cover and bring to life for y’all. And even though we celebrate every day, this is Black History Month. Please do yourselves a favour and check out what The Lincoln Center has lined up musically (a music history on Nina Simone??? Glee!). Great shows are available for the budget conscious! And of course there is BAM Cafe Live, that is always pocket-friendly (Free.99!) with a live treat for anyone and everyone. Check them out and hope you find a show worth getting into! There are plenty to choose from! And lastly: It is, of course, a bit belated on my part, however, I had to write a few words. Last year, I had one of the most amazing moments in my writing career when I met the one and only Jody Watley. I don’t personally get star struck, as I’ve been writing and meeting artists for over 12 years now. But meeting Jody, I was SO nervous. Ms. Watley is an amazing artist, one who I emulated when I was younger. The dancing, the fierceness, the fashion. She embodied (and still does) that thing, that keeps your gaze fixed on her like she’s the only one in the room. And seeing her in concert last year for the very first time, was a whirlwind. Not only was I lucky enough to cover the show, but I was also blessed to meet her as well and she is truly one of the most down to earth people I have come to know. Jody’s 25th birthday (I know she’ll love that one!) was on Saturday and my friends at Grown Folks Music, along with my favourite mixologist DJ Phaze put together a wonderful mix in tribute to “The Chameleon” we all know and love. With that said, Happy Belated Birthday Jody! Hope everyone enjoys the mix, be sure to download it here.